Product prices and availability are accurate as of 2019-04-22 19:35:45 UTC and are subject to change. Any price and availability information displayed on http://www.amazon.com/ at the time of purchase will apply to the purchase of this product. 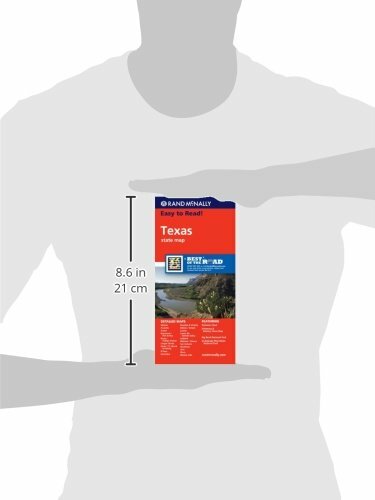 Rand McNally's Easy To Read State Folded Map is a must-have for anyone traveling in and around Texas, offering unbeatable accuracy and reliability at a great price. Our trusted cartography shows all Interstate, U.S., state, and county highways, along with clearly indicated parks, points of interest, airports, county boundaries, and streets.